WASHINGTON: Using a specialised gene editing system, scientists have shown that they can eliminate HIV from the DNA of human cells, paving the way for a cure for AIDS patients. “Antiretroviral drugs are very good at controlling HIV infection. But patients on antiretroviral therapy who stop taking the drugs suffer a rapid rebound in HIV replication,” said Kamel Khalili, from the Lewis Katz School of Medicine at Temple University in US. 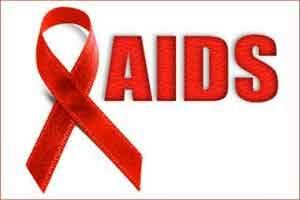 The presence of numerous copies of HIV weakens the immune system and eventually causes AIDS. Eliminating the HIV virus after it has become integrated into CD4+ T-cells, the cells primarily infected with the virus, has proven difficult. Recent attempts have focused on intentionally reactivating HIV, aiming to stimulate a robust immune response capable of eradicating the virus. However, none of these “shock and kill” approaches has been successful. Researchers targeted HIV-1 proviral DNA (the integrated viral genome) using uniquely tailored gene editing technology. Their system includes a guide RNA that specifically locates HIV-1 DNA in the T-cell genome, and a nuclease enzyme, which cuts the strands of T-cell DNA. Once the nuclease has edited out the HIV-1 DNA sequence, the loose ends of the genome are reunited by the cel”s own DNA repair machinery. Researchers focused on infected CD4+ T cells to show that the technology eliminates the virus from cells and also its persistent presence in HIV-1-eradicated cells protects them against reinfection. The researchers carried their work over to ex vivo experiments, in which T-cells from patients infected with HIV were grown in cell culture, showing that treatment with the gene editing system can suppress viral replication and reduce viral load in patient cells.